產品上架時間 2013 九月 02 週一. The Infrared Emitter is used to transmit infrared signals through an infrared LED, while there is an Infrared receiver to get the signals on the other side . 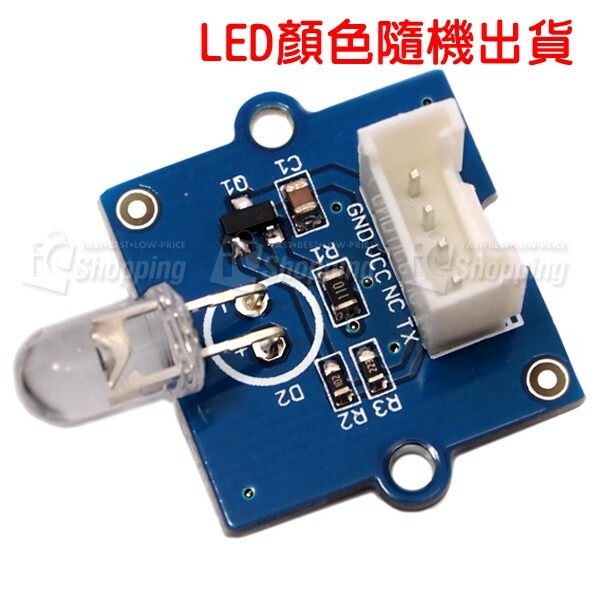 An infrared LED is like any other LED, with its color centered around 940nm. We can use the emitter not only to transmit data or commands, but also to emulate remotes to control your home appliance using an Arduino. The Infrared Emitter can transmit signals reliable up to 10 meters. Beyond 10 meters, the receiver may not get the signals.